Is a 15 minute game too short? I was sufficiently stimulated by seeing this question on boardgame designers’ forum (BGDF) to write the following. First, game length must be commensurate with what your target market gets out of playing the game. A five hour game is okay if your target market is willing to play five hour games and finds sufficient interest in yours. A 15 minute game is okay if your target market likes that and gets sufficient enjoyment out of the game. Second, in a century of many distractions and opportunities for leisure time, and a sharp decrease in attention spans, games are rapidly getting shorter. When people play games they are more likely to do other things (especially messing with their phones) than in the past, so they are less likely to notice or remember what’s going on, and a long game simply exacerbates those problems. Also, people value variety more than depth nowadays (related to the “cult of the new”). I recall years ago at a game designers’ meeting one person saying he wanted to play games all day but none that took more than an hour - perhaps now a common attitude. If your game is short but has lots of variety so that a person can play it more times and experience more variety in a given length of time, you can satisfy this attitude. So for marketing purposes a shorter game is more practical than a longer game. Third, it’s a lot easier to get sufficient playtesting for a short game than for a long one. First, you can play it more times in a given length of time. Second, a short game inevitably has less to it than a long game so there is less interaction of its parts and less to fix. In this respect it’s like symmetric versus asymmetric games, there’s less to fix in symmetric games when you’re playtesting. Third, you can find more potential playtesters for a short game than for a long one, perhaps fitting in between longer games at a playtest session. Fourth, if your objective is to provide some kind of depth - variety is not depth - then a short game is more difficult to design than a long one. And that’s true regardless of the kind of depth you want to provide, whether gameplay depth, story/narrative depth, puzzle depth, or model/simulation depth. Depth of any kind involves players making significant decisions, and players make fewer such decisions in short games, other things being equal. Any of those kinds of depth are going to be harder to provide as the game is shorter. When I began to offer the third edition(s) of Britannia to publishers, one of them immediately said it would have to be cut down drastically from the FFG version, much too long. Indeed, I have two standalone shorter versions of the game, and the introductory version of the Epic version will be 2-3 hours, not 4-5. I expect the new 90 minute version will garner much more interest than the 4-5 hour version, from the marketplace, even though the long version has a long and successful history. Most likely, inexperienced designers will err on the side of putting too much into a game and of making it too long. I prefer to simplify as much as the objectives of the game will allow: "A designer knows he has achieved perfection not when there is nothing left to add, but when there is nothing left to take away." Antoine de Saint-Exupery. Another form, about Japanese gardening actually, is "Your garden is not complete until there is nothing else that you can remove." But video game designers and some board and card game designers, being accustomed by and large to making interactive puzzles with correct solutions, where greater complexity makes the puzzle harder, have every incentive to make a game more complex, which usually means longer. When a game involves different stages or phases, where the immediate objectives of the players change, then it can be longer without becoming predictable or tedious. See http://gamasutra.com/blogs/LewisPulsipher/20120624/172937/Phases_in_Games.php . Consider also that the same game can be a 20 minute game for casual players, and a much longer game for serious players. On BGDF one person called draughts (checkers) and Blokus 20 minute games, but when played by experts checkers is much longer, and Blokus is probably longer when played "seriously". Some games get longer when played by experts - that's why we have chess clocks - while other games get shorter. E.g. Britannia is 7 or so hours when played by novices, 4-5 hours (and sometimes less) when played by experts. What makes the difference? Part of it is familiarity with the rules and the strategies. Perhaps another difference is the type of game. If the game is puzzle-like - chess and checkers can be solved, there is always a best move - then with experts the game takes longer, while if it is a game that cannot be solved, with experts it takes less time to play. Some puzzle-games are so easily solved - Tic-tac-toe is the obvious example - that they aren’t long games, but as the puzzles become more complex, playing time among “experts” is likely to rise drastically as they look for the single best move. 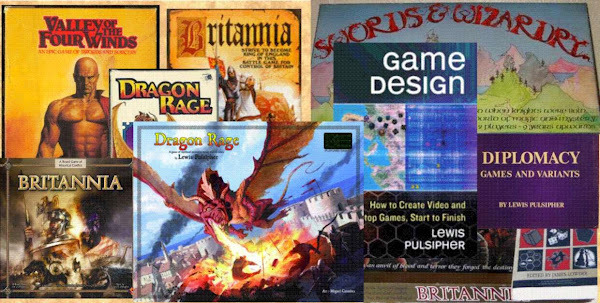 Designers looking for commercial publication also need to consider the cost of the game compared with the length. Expensive, very short, games may feel sufficiently valuable to customers. Certainly, there are games that last "forever" ("monster" wargames) that people are willing to pay over $100 for, but you'd be hard-put to find a short game that people would pay as much for (usually it would be a deluxe edition, such as the $380 Settlers version - not that Settlers is a very short game). From the players’ point of view, the question is always, is the enjoyment the game provides worth the amount of time expended? And the best guide for that is playtesting the game with lots of different people from your target market. If the players say the game ended abruptly, perhaps it needs to be longer. If players in the target market start to lose interest then it's too long. If the player who is ahead after half the game virtually always wins, then the game should be about half as long. So we can never say in general that a 15 minute game or even a five-minute game is “too short”, but it can be too short for certain kinds of game players and certain kinds of design objectives.